Birdman also teased the track list for the film’s soundtrack. After several delays, Bryan Williams a.k.a. 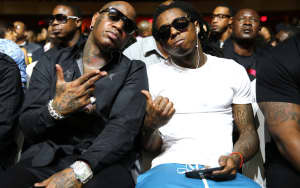 Birdman and Apple Music have officially released Before Anythang: The Cash Money Story, a feature documentary on the legendary record label and Williams, its co-founder. Watch the film here, and check out an animated anecdote above via Birdman's Instagram. From the Before Anythang page on Apple Music: "Before Anythang is an inspiring portrait of Bryan “Baby/Birdman” Williams, whose Cash Money Records empire would shake up rap music and reverberate far beyond the Crescent City. His origin story is filled with tragedy and belief, hustle and community, told by the people closest to him and narrated by Baby himself." Birdman also posted a trailer for the film's soundtrack. According to the video, the album will feature Migos, NBA YoungBoy, Young Thug, Gucci Mane, Kodak Black, Jacquees & DeJ Loaf, Ralo, and more. No release date has been announced. Watch the trailer below.